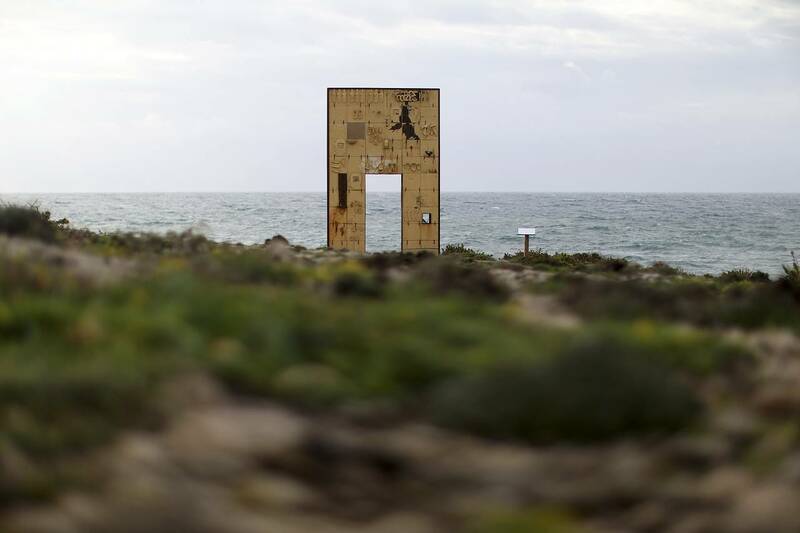 The "Door of Europe" monument, which commemorates migrants who died on their journey, on the southern Italian island of Lampedusa. Up to 700 people are believed to have died after a boat capsized in the Mediterranean in the night from Saturday to Sunday. Tragically, it’s Groundhog Day in the Mediterranean. Around 400 migrants are feared dead after drowning between Libya and Italy. And just two days ago, Italian coastguards rescued over 6,000 stricken migrants who had attempted to reach Europe from the north African coast. Both scenarios are desperately familiar. The former echoes disasters in February 2015 and September 2014. And, in fact, most of last summer, which saw record numbers die in the Mediterranean. Coverage of the latter could have been almost entirely copied from reports published 12 months ago to the week, when a similar number were hauled from the sea during the equivalent weekend of 2014. There were some who hoped that 2015 might be different. Last autumn, the EU opted not to create a like-for-like replacement for Operation Mare Nostrum, a huge Italian-run search-and-rescue operation that saved up to 100,000 lives in the Mediterranean last year. In the words of one British minister, Baroness Anelay, Mare Nostrum created “an unintended ‘pull factor’, encouraging more migrants to attempt the dangerous sea crossing and thereby leading to more tragic and unnecessary deaths”. Six months on, the facts suggest otherwise. The number of people who attempted to cross the sea to Italy in the first quarter of 2015 was only fractionally smaller than the number who crossed in the same period last year. Only a quiet March brought the overall figure down, and as this week’s news suggests, April constitutes a return to higher levels. 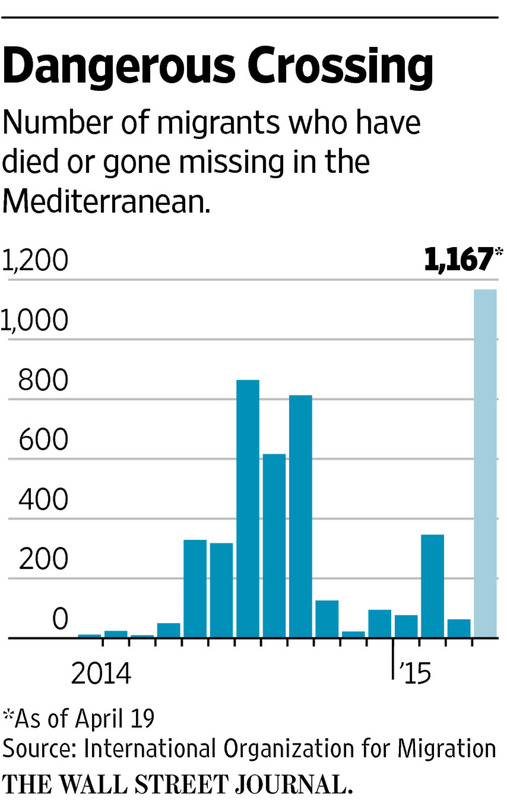 Perhaps more significantly, the number of drownings in the Mediterranean during the first quarter of 2015 rose tenfold. In fact, if the 2015 death toll continues at the current rate, it will easily pass last year’s record of more than 3,400. A logical conclusion is that the decision to end Mare Nostrum has so far neither acted as a deterrent, nor prevented more death. I have spent the past few weeks interviewing migrants who intend to make the journey from the Egyptian coast (second only to Libya as a launchpad for those hoping to reach Italy), as well as the smugglers who they pay to take them. The message from the smugglers is that business continues as usual. The message from the migrants is that the dangers they are fleeing from constitute a far greater threat than the risk of drowning at sea. Many display some awareness of the decision to end Mare Nostrum, but no one says its closure would put them off. “Even if there was a government decision to drown the migrant boats, there will still be people going by boat because the individual considers himself dead already,” says Abu Jana, who will make for Europe in the coming weeks. The experience of someone like Abu Jana shows why. A wanted man in Syria, he cannot return home, and is referred to here by a pseudonym. Nor can he get a new passport from the Syrian embassy in Cairo, which means he cannot travel legally. Even if he could, most Arab countries are now closed to Syrians. Lacking the right paperwork, Abu Jana cannot legally work in Egypt, get a proper rent contract, or register the existence of his two toddler daughters with any national body. And even if he could, life would hardly be brighter: those Syrians who do live a fuller life in Egypt often encounter xenophobia. The EU appears to realise that its current policies are unsustainable. However much it would like migrants to simply disappear, the boats are likely to keep coming as long as repression and conflict in the Middle East and Africa continue to drive the largest wave of mass migration since the second world war. A revamp of EU migration policies, scheduled for May, is an implicit recognition of this fact. But it remains to be seen whether the policy reset will lead to long-term solutions. Leaked ideas include establishing offshore asylum centres in north Africa, and paying the Egyptian and Tunisian authorities to patrol their own maritime borders. But how would this scheme differ to the patrols and arrests that Egypt already makes? And could over-burdened offshore centres process migrants fast enough to deter them from the quicker option of the sea? Without proper solutions, April 2016 will see the same headlines as this year and last. Medium : “243 People Disappeared. Young People. Women. Children. And No One Cares” How do you find a boat that vanished without a trace?